Concerning College is the website of a Minnesota-based college admissions and financial aid counselor. After having little luck with previous web designers, he made the correct decision in coming to Virtual Monk. 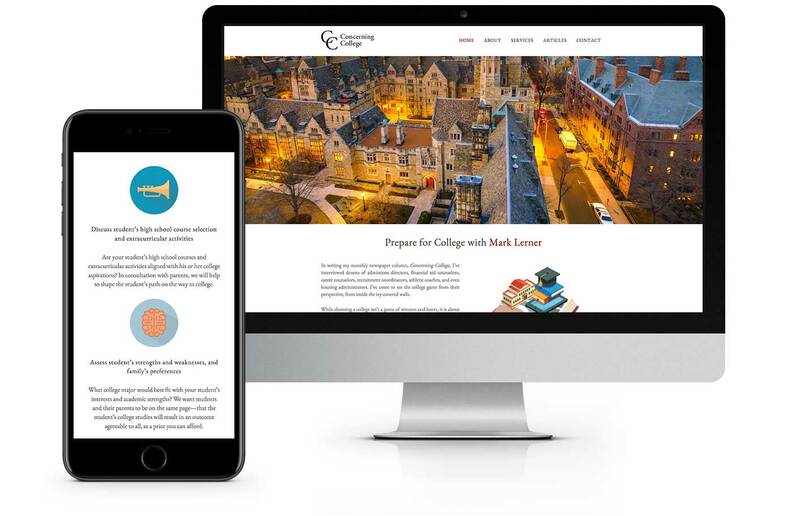 We designed a clean, attractive website inspired by his academic values, with effective linking and SEO work that will see concerningcollege.com climbing through Google’s ranks.